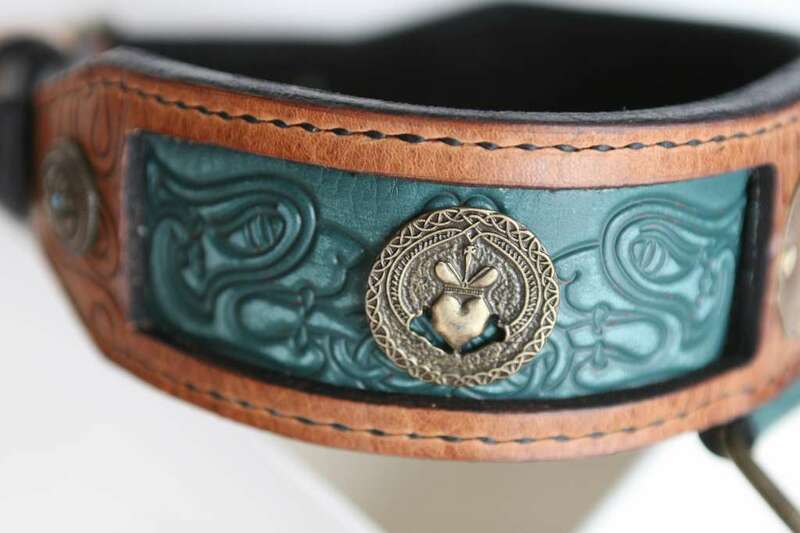 Having a unique leather dog collar made for your loving friend with tail is a great way to show your admiration to the way they are. For those that bring so much joy in our everyday life, holidays should not only mean enormous amount of treats. 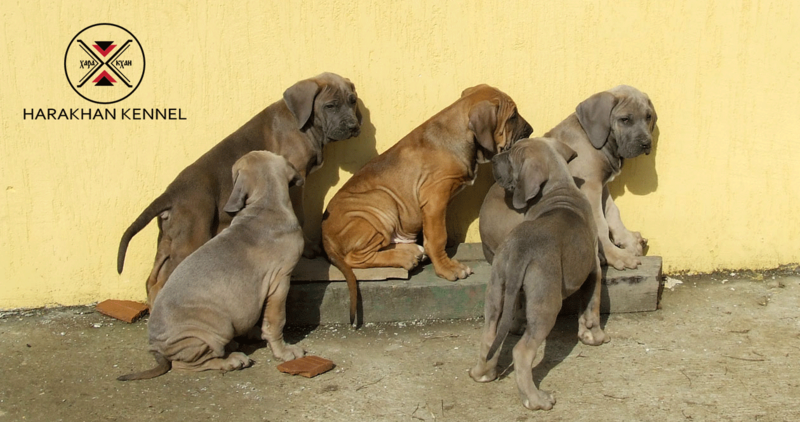 Holidays mean more free time to spend with your pets. Take your dog out in a festive outfit. 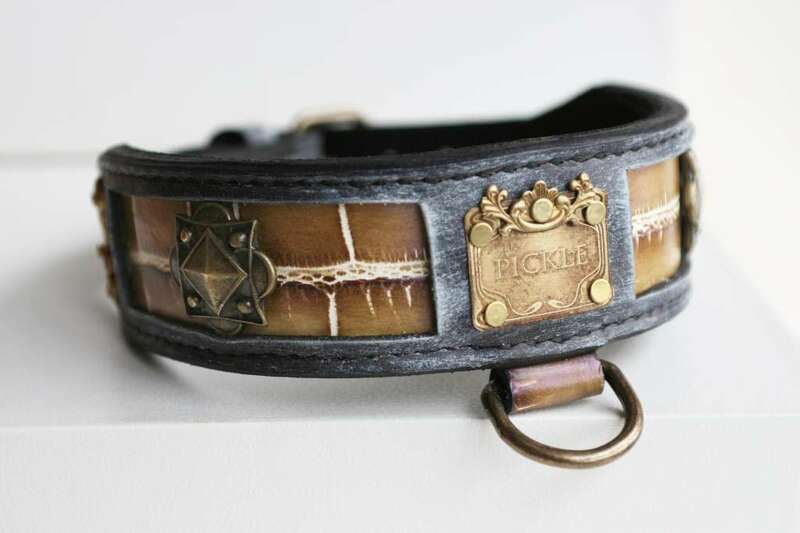 Custom made dog collar or designer dog collar is the best choice for holiday season if you want your dog to look special too. 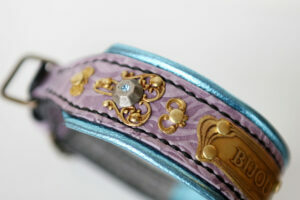 Custom made dog collars are being made following your wishes and employing our hand crafting knowledge. 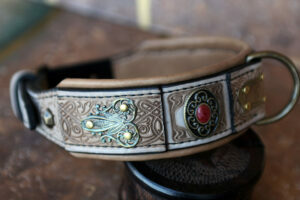 Such collars are made to last a lifetime and stay unique. 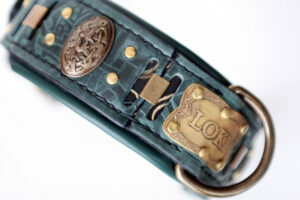 Do you have a symbol for your dog or a special nickname that would look great on his/her new collar? Or you might want an unusual design with your favorite painting or any other unusual hand print – we can make it too. 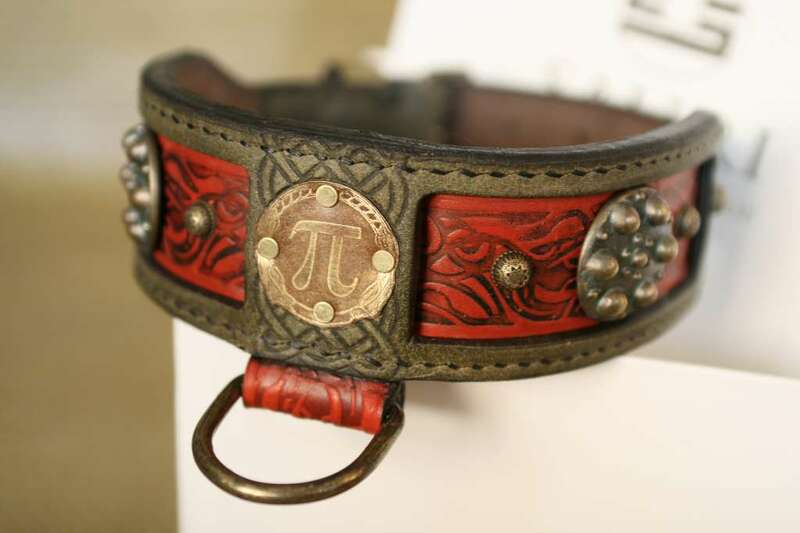 Designer dog collars go way beyond ordinary. 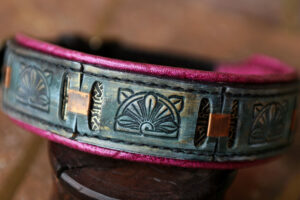 Why should you have a dog bone hand print or common motifs on the collar? 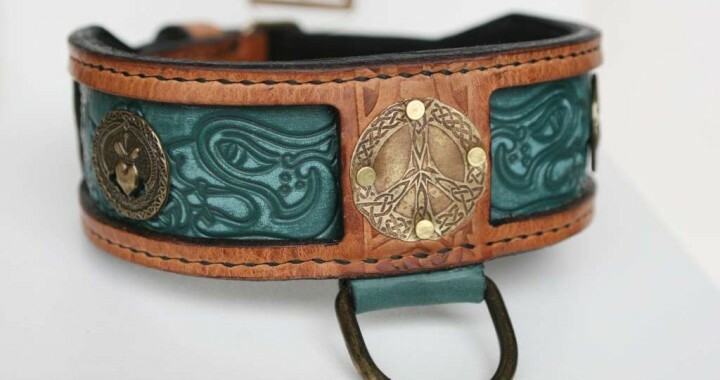 The design is there to indulge dog’s neck and human’s eye. We want the greatest possible satisfaction for both of you – that’s why we combine fresh creative ideas with traditional hand crafting skills. With lots of fireworks and firecrackers around during the New Year’s Eve the safest is to keep your dog near you all the time. 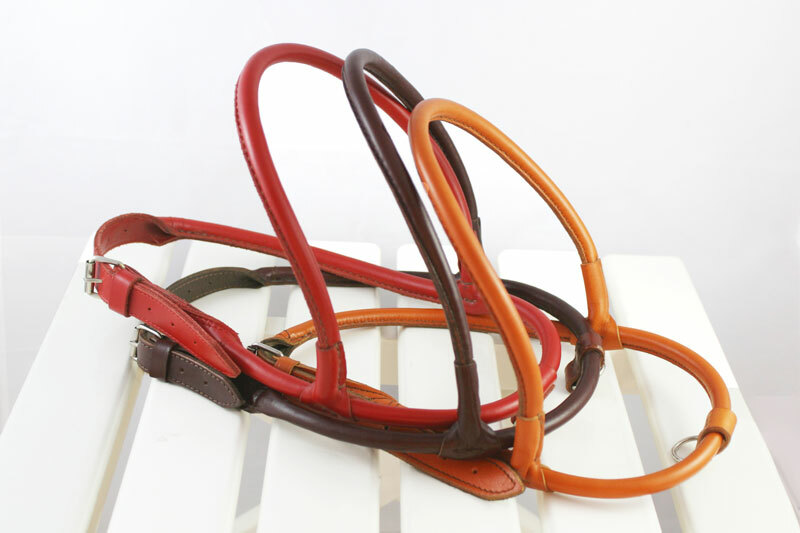 For this purpose we recommend a short handle leash or strong plaited leather dog leash. 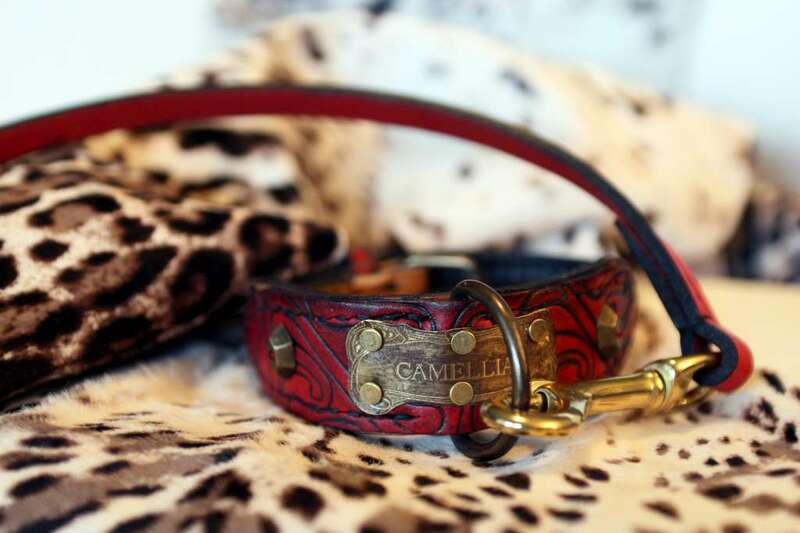 Additionally for this Christmas and to start the New Year fresh and creative we designed a Tosa lead – limited edition stitched and plaited dog leash.